Book your bed in a dorm room and experience an awesome time in our hostel. We offer a package for a relaxed and exciting family holiday in the Alps. 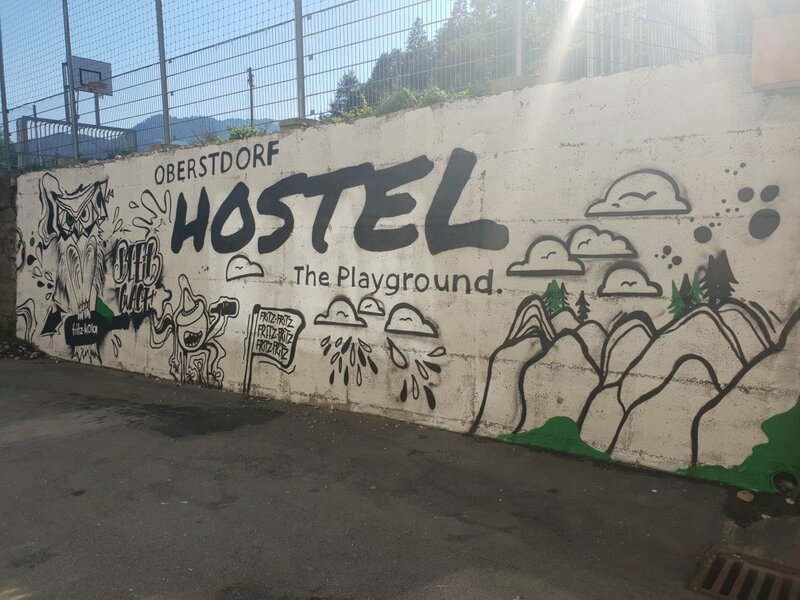 ... of our shared holiday accommodation and, together with other travellers, experience an incredible and unforgettable time at the Oberstdorf Hostel. 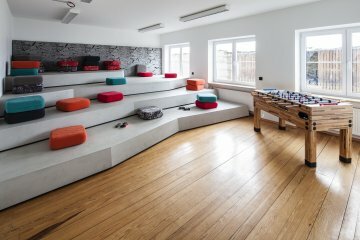 ... like cooking, eating, planning trips or enjoying an evening at the hostel together to make your stay even more rewarding. 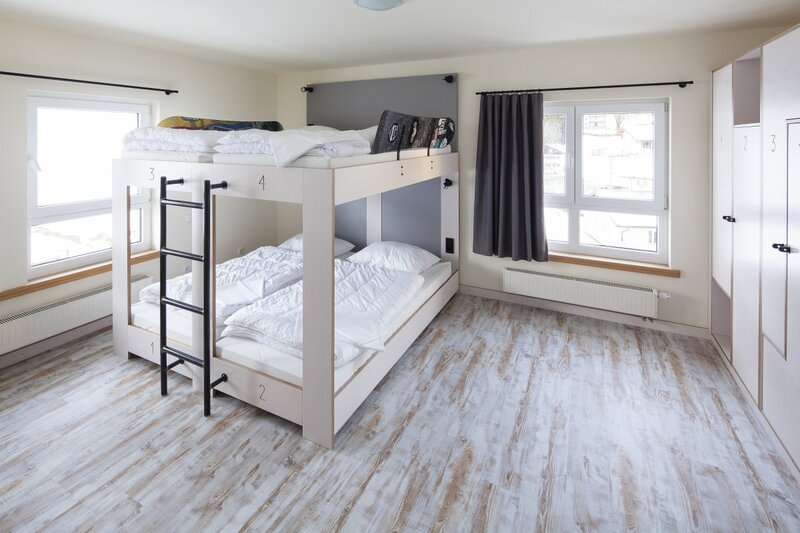 You want to sleep in a stylish place, want to be on the slopes or hiking trails within minutes and meet new friends - THIS is your location! 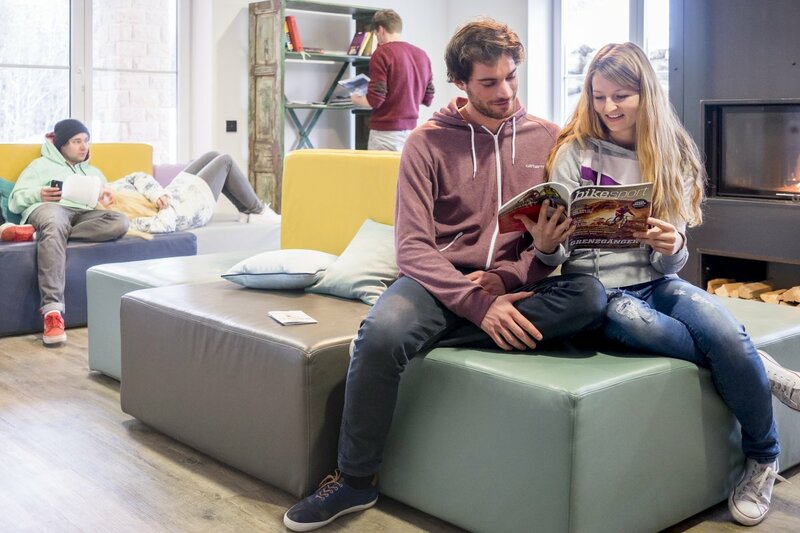 More information about the Oberstdorf Hostel! 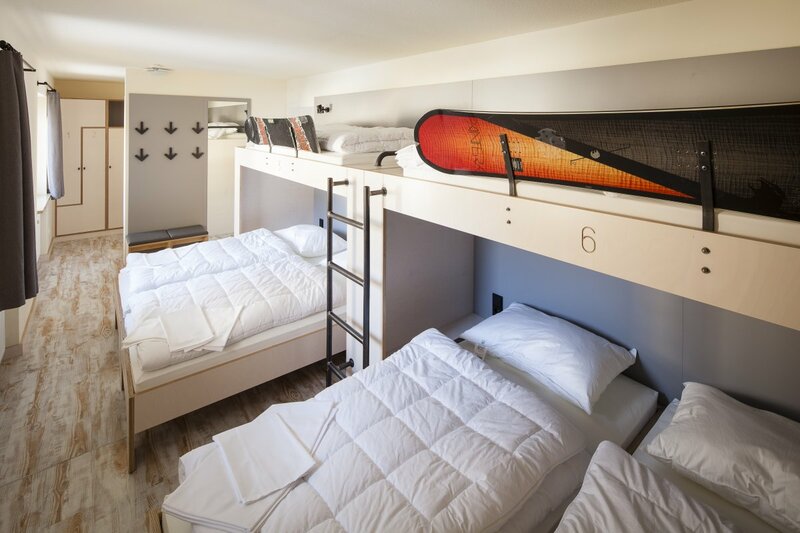 In the Oberstdorf Hostel, you will find modern, trendy and inexpensive beds in the Allgäu Alps. We offer you numerous opportunities that will help make your stay with us both pleasant and exciting. What you do is up to you. 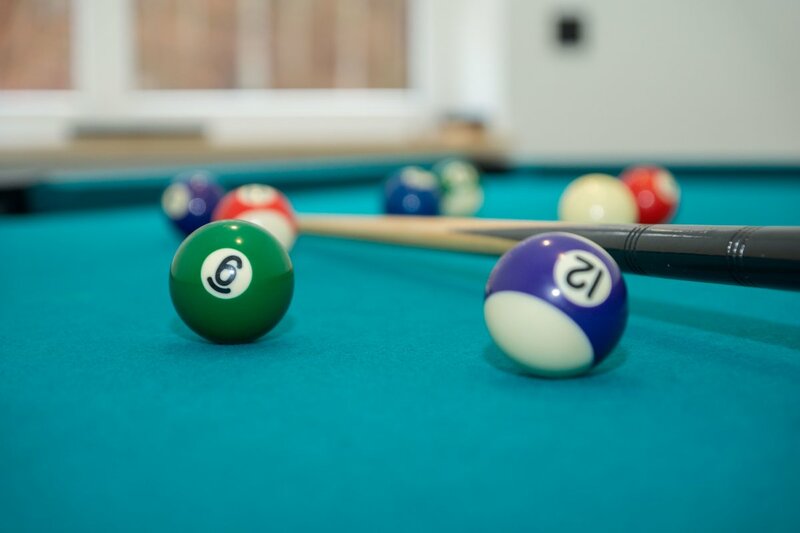 Indoors, we offer you lots of cool common areas, and outdoors you can frolic in our multifunctional sports area located directly adjacent to the Oberstdorf Hostel. 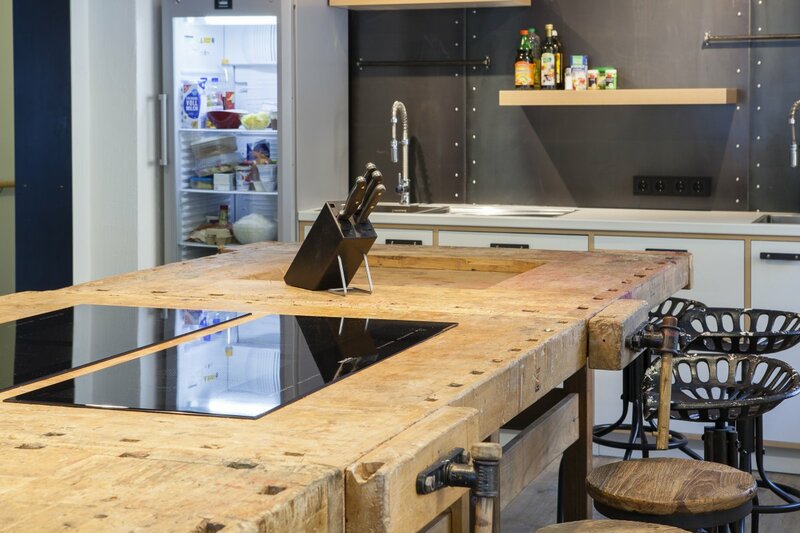 The hostel kitchen is modern and stylish that places great importance on cleanliness. 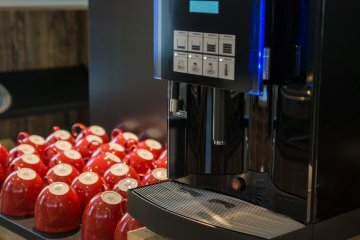 You can use the kitchen after your daytrip in the alps or for a short lunch break. 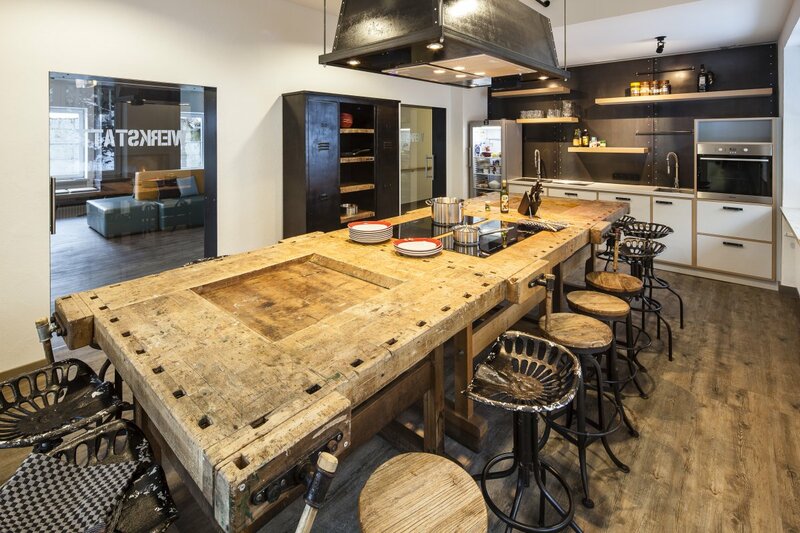 Meet your friends for cooking or savouring a meal together or meet some new friends. Regardless of whether at breakfast or dinner, there is always enough room to eat together and enjoy. Help yourself at our savoury and abundant Hostel breakfast buffet: fresh rolls, coffee, muesli, fruit ... 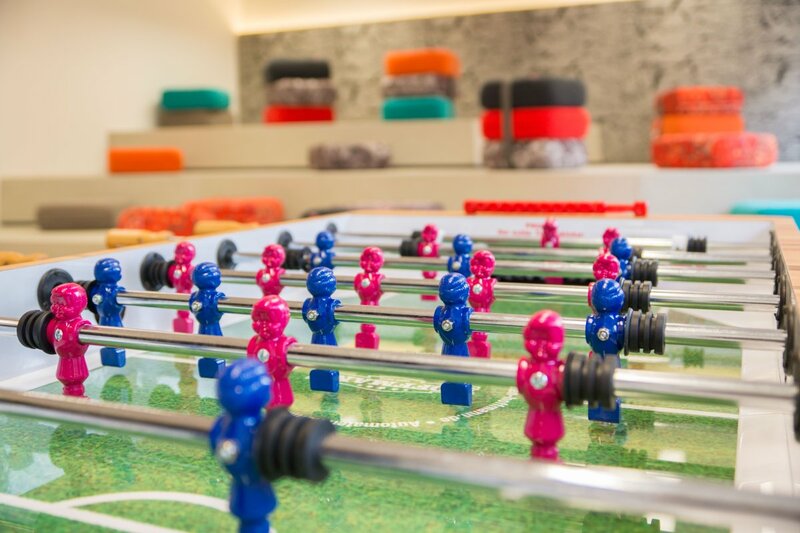 The hostel crew will be more than happy to help you organise your activities! •	Arrival: the hostel is located in Mühlbachstr. 12 in 87561 Oberstdorf (Germany). You can arrive by train or long-distance bus to Oberstdorf and then take a taxi or local bus directly to the hostel. •	Payment: You will pay for your stay upon check-in using your EC (debit) card, your credit card or in cash. All snacks and beverages must be paid in cash. •	Check-in/out: Check-in time is after 3 p.m.; Check-out time is by 10:30 a.m.
•	Towels: Please bring your own set of towels. If you like, you can rent them from us for a fee of €4 – one large towel and one small towel. •	Deposit: For your room key and the Oberstdorf guest card, we ask for a €10 deposit (in cash) at the time of your arrival. •	Lock for the closet: Every bed includes a lockable closet. In order to lock the closet, either bring a lock or purchase a cool hostel lock at the reception. •	Wi-Fi: Can be used free of charge throughout the duration of your stay at the Hostel. Großzügige Gemeinschaftsräume im Oberstdorf Hostel What about a cup of coffee? 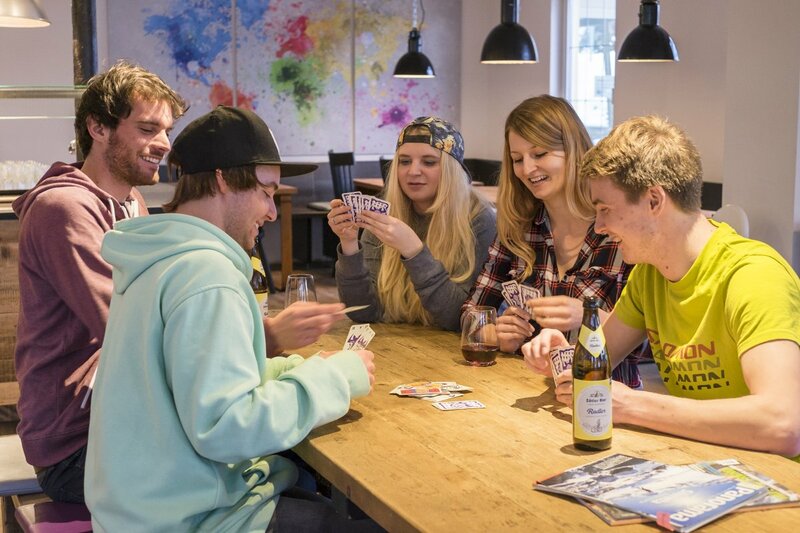 The Oberstdorf Hostel offers plenty of opportunities for an awesome time. Plan your holiday trip to the Allgäu Alps and check out your favorite spot in the Oberstdorf Hostel. We´re looking forward seeing you soon! 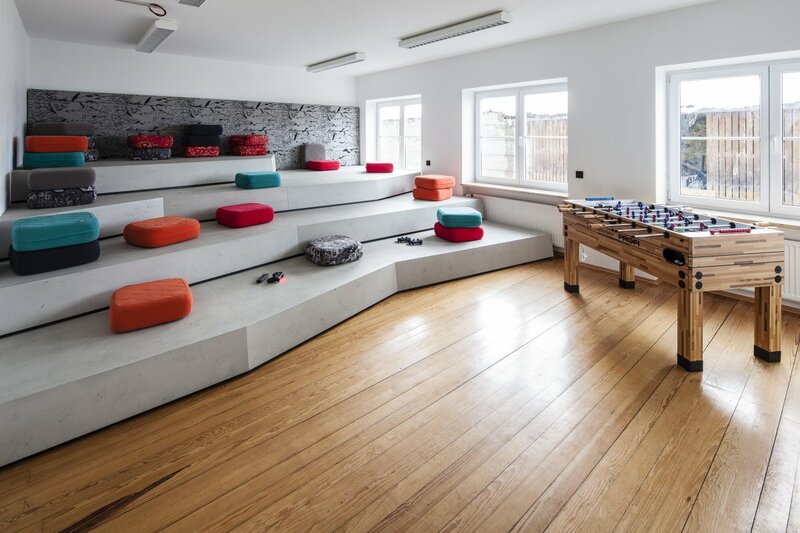 As is the case in most hostels, here you’ll also have to make your own bed. We will provide you with bed linens. Free Wi-Fi in the hostel. Help yourself at our savoury and abundant Hostel breakfast. Fresh rolls, coffee, egg station, muesli, fruit and lots more. 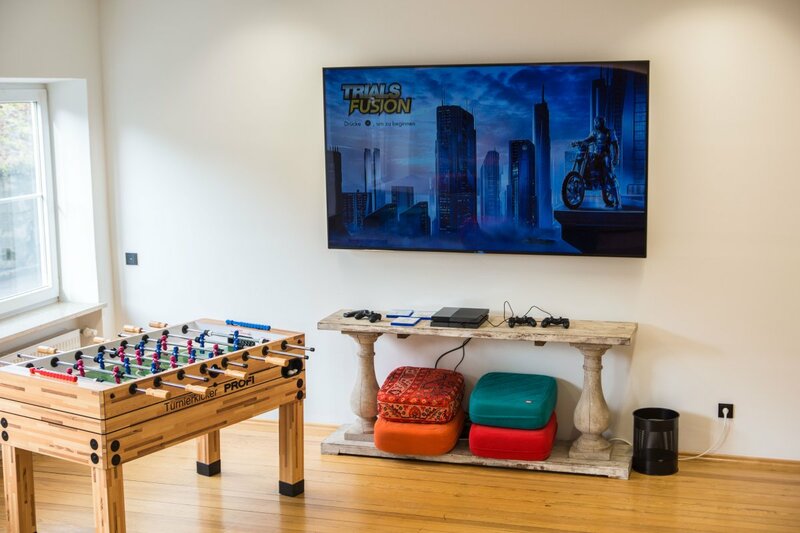 It doesn’t matter whether trendy kitchen, dining room, table soccer room, fireplace room or cinema - lots of room to meet up with others. Barkeeper’s mixing course, city rally through Oberstdorf, or bouldering. 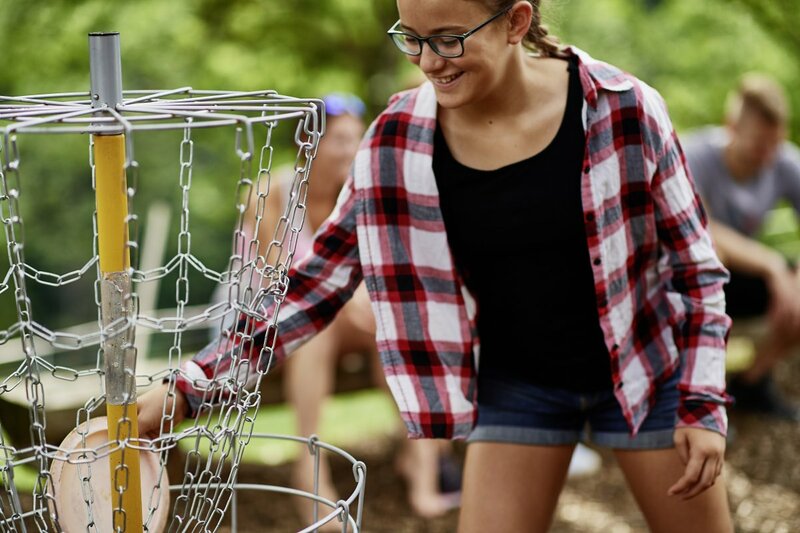 We offer your children a varied holiday programme, every day! Slacklining, jumping on the trampoline, bouldering or taking a dip in a small mountain pool? No problem – you’ll find all of that here. 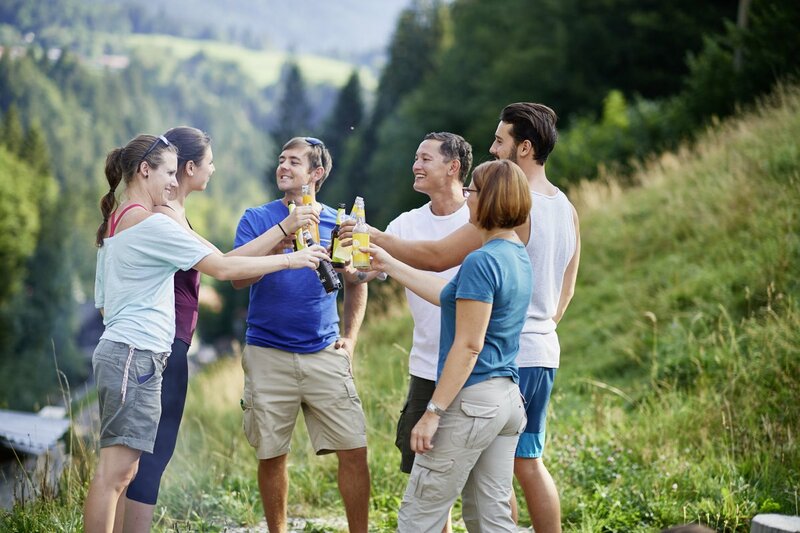 The hostel crew will be more than happy to help you organise your activities in and around Oberstdorf! Simply ask us.